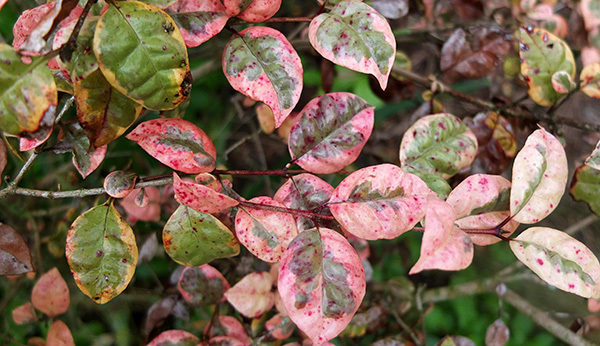 I have to use the words subtle and stylish to describe this New Zealand native myrtle. 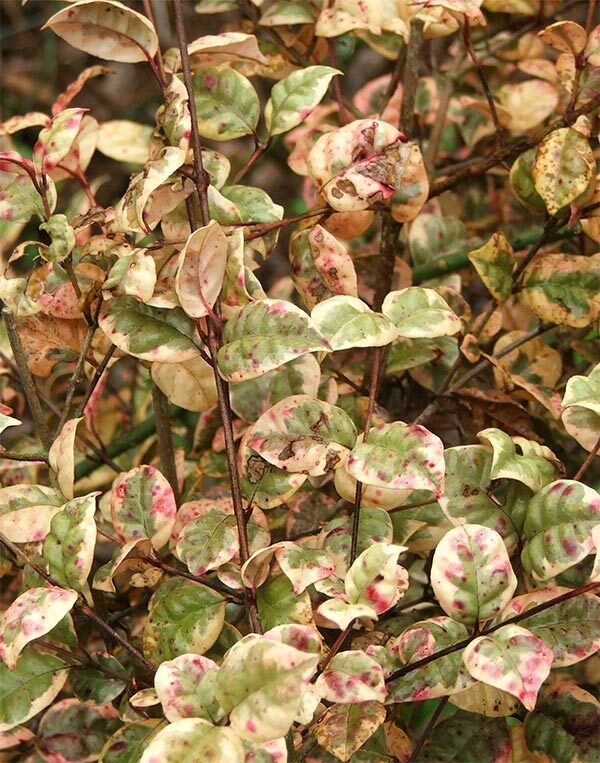 It's a small shrub with the most beautiful variegated leaf markings, hardy and easily kept in shape in the mixed garden border. The different creamy greens on its leaves would be a house-paint tinter's dream - as usual, nature manages to lead the way. And the warm reds are lovely to see in winter, for this shrub is an evergreen. All the other varieties I've seen are equally interesting in colour. I also grow a chocolate brown, and a dwarf variety which is possible called 'Little Star' - I've just checked this in my big book of shrubs. And according to my big shrub book this genus is native only to New Zealand and is properly called Lophomyrtus. 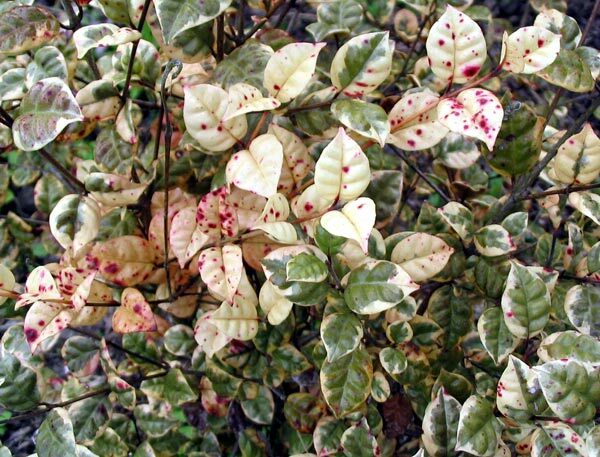 They are vigorous growers, and the leaf colour can vary according to their planting situation. I wonder what a mass planting would look like? - it would make a most beautiful foliage statement.